I recently had the privilege of listening to a short story on BBC radio 4 called "chemo brain" written by Susmita Bhattacharya. 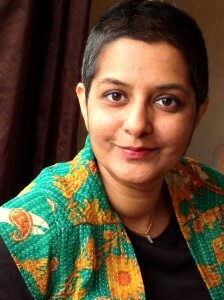 Susmita is a writer and a teacher and she developed breast cancer and like many people found life difficult afterwards. (Interestingly, in her "about me section" on her blog page, her diagnosis of breast cancer isn't mentioned). "the physical side effects of chemo had been spelt out...but what about the mind?..What would happen to my mind as the drugs entered my body....I became a writer who could not write"
Chemo brain caused her to loose her confidence. She ended up writing notes to herself. In the classroom, she had to rely on her years of experience to get her through her lessons. She talks about the loneliness after the diagnosis of breast cancer. She wanted to get on with her life as usual but life had changed for her and her family. They have had to accept a new normal. Susmita recalls how she regained her confidence. She edited her novel and spent time with her local cancer support group. She set up a writing workshop. This gave her the confidence to write again. It is now 2 years since she finished her treatment. Writing about her experience has helped her come to terms with what has happened. As a result of being a cancer survivor she has attended dance workshops, has had tea in the mayors house and has even visited Buckingham Palace. She has learned to accept days as they come. 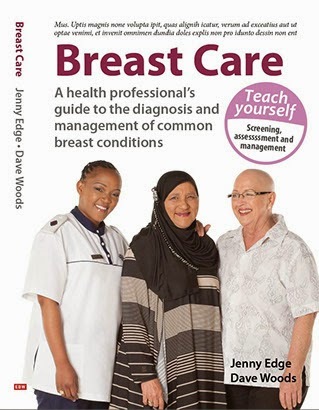 There are many reasons why breast cancer and its management can cause problems with confidence. This year, at our annual CBMH October activity we have invited breast cancer survivors to discuss ways they have regained their confidence after the diagnosis and treatment of breast cancer. If you are in Cape Town on 18/10/17, please come and join us. For further details, contact Michelle Norris: Michelle.Norris@netcare.co.za. Thanks for sharing your story. It is worth listening. Hats off to you for regaining your confidence after facing so many challenges. Click here cancer treatment Sydney!